The Lajkonik Polish Folk Ensemble has been sharing the rich traditions of Poland since its creation in 1998. Through song and dance the group promotes Polish culture as it performs at festivals, school events, retirement homes, and many other venues, including the University of Arizona. Lajkonik enjoys a large and growing following in Tucson, and it has performed in Phoenix, Las Vegas, Seattle, Salt Lake City and Poland. In 2012, Lajkonik was the first Polish folk group in the United States to perform at halftime during an NBA game, celebrating Polish Heritage Night with Phoenix Suns center Marcin Gortat in front of 13,000 fans. 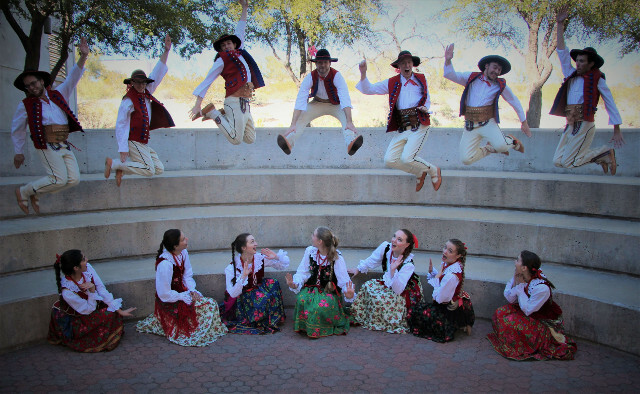 Lajkonik was the only group from Arizona to participate in the International Festival of Polish Folklore in Rzeszow in the summer of 2014 and 2017, and is going to participate in 2019 in this special edition of festival which marks 50th year since the first festival in Rzeszow. In Tucson, where Lajkonik is based, the group enriches and livens up the annual Tucson Meet Yourself festival, one of the largest cultural festivals in the Southwest. They not only are one of the anchor performances, but they also share Polish food with the community by selling pierogi, golabki, bigos and placki. TMY organizers describe Lajkonik as Tucson’s most beloved folk group. 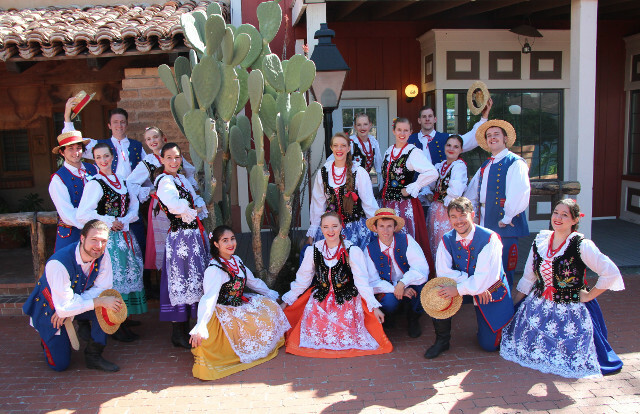 Each spring the group holds a Polish Night dinner to raise funds for the group and to provide an evening of Polish food and culture for the Tucson community. Traditional Polish food is served, a mini-museum of posters and costumers allows diners to learn more about Poland, and a performance by Lajkonik caps the evening. The Arizona Balalaika Orchestra lends their talents with dinner music. 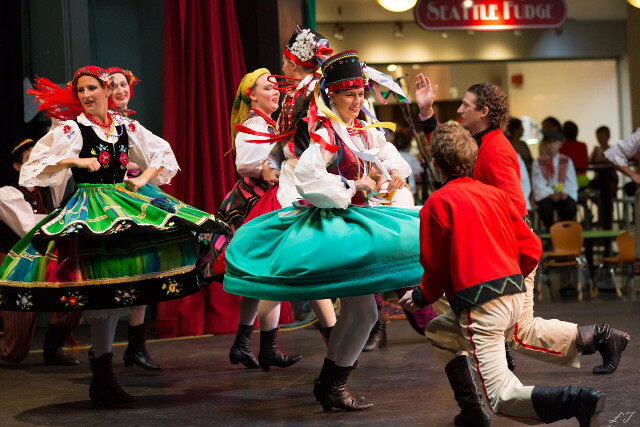 Every year, Lajkonik performs at both the Polish and Hungarian Festivals in Phoenix and sometimes at local Serbian, Lithuanian and Mexican events. They also partner with the Arizona Balalaika Orchestra in Tucson to perform at their annual live concert. Lajkonik is recognized for their excellence by the Tucson Meet Yourself fellowship committee, Tucson Pima Arts Council, Polish American Congress of Arizona, and the Polish Ministry of Foreign Affairs and Consulate General of the Republic of Poland in Los Angeles. 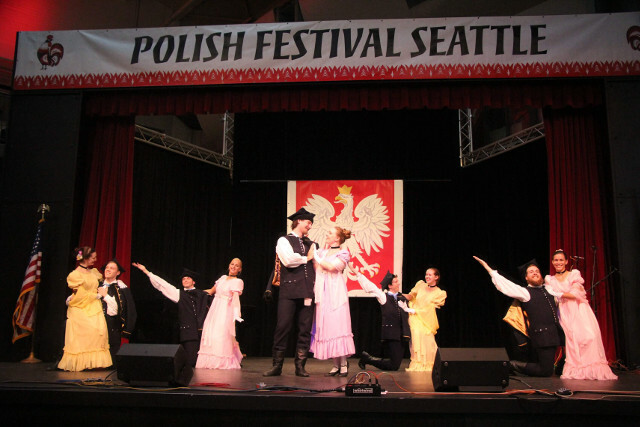 Lajkonik strives to share the deep cultural traditions of Poland with American communities; the performances are a celebration of Polish culture. Although independent, the group benefits from St. Cyril of Alexandria Catholic Church in Tucson, which provides rehearsal facilities and encouragement. The group welcomes any support. Supporters may make a donation on the website or through Amazon Smile: smile.amazon.com, where 0.5% of your purchase will go towards Lajkonik and it does not cost you anything!